Afternoon Tea is a ritual introduced in the early 1840s amongst British aristocracy. It evolved as a mini meal to stem the hunger and anticipation of an evening meal at 8pm. Nowadays, Afternoon Tea is usually enjoyed as an occasional luxury for the British; a treat in a Country House Hotel, perhaps to celebrate a birthday or special occasion! 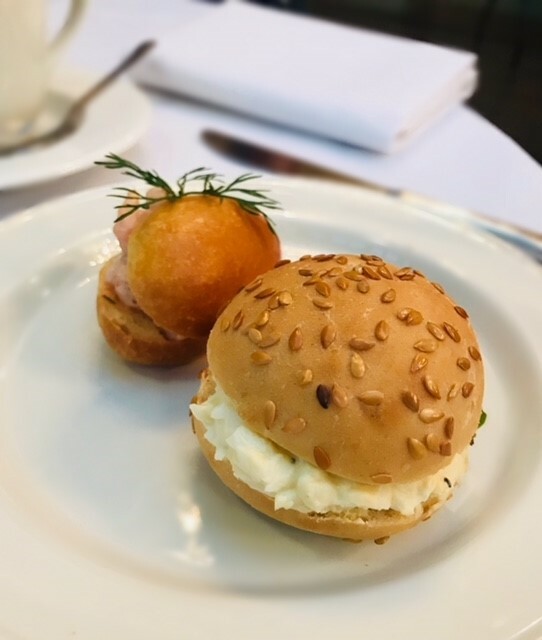 At Offley Place, we like to uphold this timeless British tradition, where we offer our guests the perfect environment to relax and indulge in the pleasures of homemade cakes, scones, pastries, tarts and sandwiches, we well as a selection of all your favourite teas. Whether you are celebrating a birthday, an anniversary or simply treating a loved one, Afternoon Tea at Offley Place promises to delight! Afternoon Tea at Offley Place is served in our restaurant and lounge area's Thursday-Saturday from 1.00pm until 5.00pm and Sunday's from 3.00pm until 5.00pm subject to availability. For Bookings over 10+ people we will require a non-refundable deposit to secure your table. Please note we do require at least 24 hours notice for any bookings. We offer Cream Tea, Full Afternoon Tea and Champagne Afternoon Tea for extra special occasions! You will be seated in either our Spencer Restaurant, Conservatory or one of our two luxurious lounges. During your visit you are very welcome to relax on the lawn or terraces overlooking our 27 acres of lush green parkland. Advanced booking of at least 24 hours is required to avoid disappointment.Please advise of any special dietary requirements or allergies at time of booking.